Ken Eats Gainesville, the blog written by Gainesville resident Ken Peng, keeps a close eye on the food scene in town. And sometimes what he writes doesn’t go down very well. 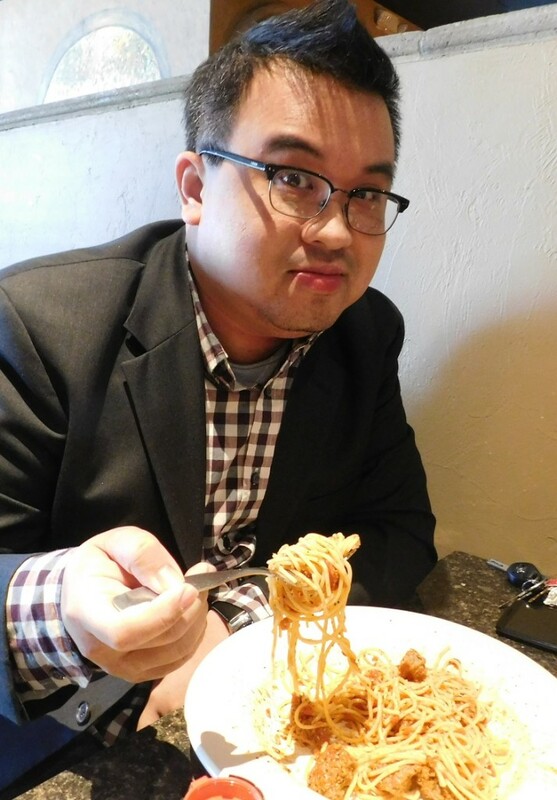 Just for the record, Ken Peng’s 16,366 Facebook followers should know that he eats spaghetti and meatballs one forkful at a time. In other words, Gainesville’s No. 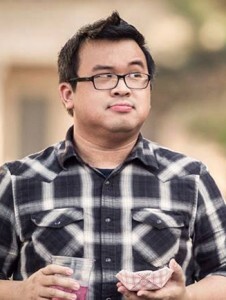 1 food blogger chews his food like everyone else. But it’s the way he writes about that food—particularly restaurant meals—that has elevated him to social-media rock star in this once culinary-starved college town. “Wild, isn’t it?” said Peng, the man and mouth behind the Ken Eats Gainesville website and Facebook page. Not to mention his strong Instagram following. We recently sat down with Peng at Piesano’s Stone Fired Pizza to talk about the evolution of the Gainesville restaurant scene as well as a scary encounter he recently had that proves just how seriously some people take the guy’s opinion. Before the juicy stuff, however, a little background is in order. Peng came to Gainesville from South Florida in 2004 as a UF freshman. He was not prepared for life away from the big city. While attending school, Peng gained some notoriety writing restaurant reviews for the Independent Florida Alligator. Then he graduated, stayed in Gainesville and focused on a career in finance. In early 2014, he was between jobs and bored out of his mind. 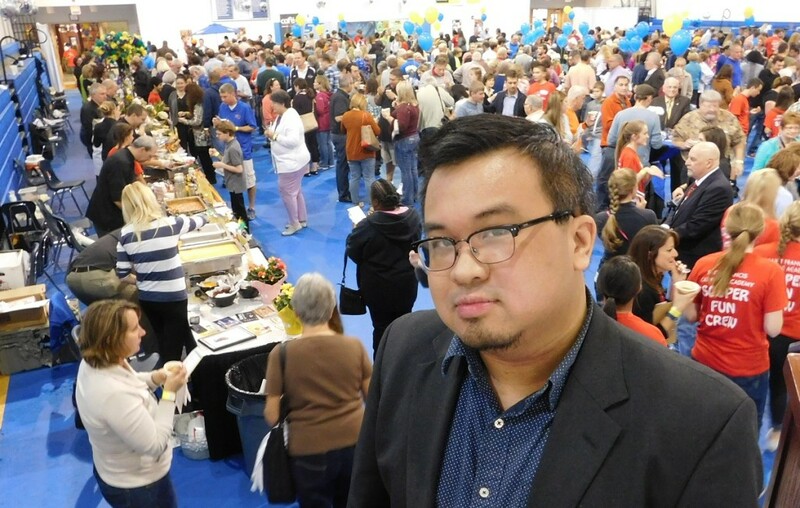 Although Peng soon found fulltime employment again in his chosen field, he continued to blog about food under Ken Eats Gainesville, a catchy title he had used almost a decade earlier at the Alligator. Then people encouraged him to develop an appropriate logo. The marketing strategy, much to Peng’s surprise, quickly paid off. Peng soon gained a reputation for his straight-forward restaurant reviews, calling it like he tasted it. Today, Peng’s face (and hair) is recognizable wherever he goes around Gainesville. And that is why the foodie recently became embroiled in some drama that unfolded on the streets of downtown Gainesville—not once but twice! According to Peng, he was leaving Dragonfly Sushi and Sake Co. one night when he sensed he was being watched. The angry man refused to identify himself, but Peng soon found out that he was a newly hired chef for a local restaurant group. Peng had written an unfavorable review of one of their downtown establishments. Like any responsible blogger, Peng wrote about the sidewalk encounter in an online post. I always say that if one person’s bad opinion of a place sinks the ship, then there are holes in that ship to begin with. “That post got 40,000 views, 800 likes and sort of blew up in their face,” he said. “So their owner messaged me and said he would like to apologize. But I know their reputation in town. They’ve been very dismissive of me in the past. Employees there have told me before that management said ‘Don’t pay attention to that guy, he’s a joke,’ instead of looking at their own problems. 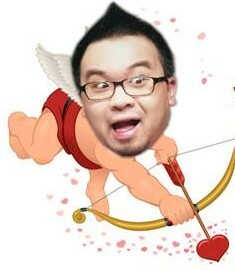 Ken Peng doesn’t hesitate to poke fun at himself on his blog. When Peng reluctantly agreed to meet the chef downtown and accept the apology, a loud exchange of words ensued on the sidewalk in front of the restaurant. Needless to say, Peng didn’t accept the apology. 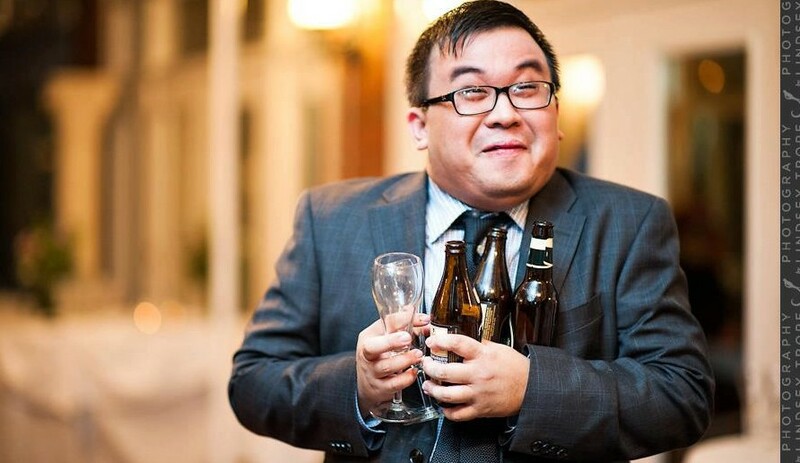 Although Peng refers to the hospitality group as “douchy,” he wants to put the incident in the past. To extend the proverbial olive branch, he removed the blog post. Interestingly, since that incident, the restaurant at the center of the controversy closed for lunch for a week to revamp its overall menu. Peng said he encourages UF and Santa Fe College students to step out of their comfort zones and explore all that the area offers. Peng doesn’t apologize for his outspokenness, especially his restaurant reviews. “I always try to tell it like it is and not sugarcoat things,” he said. “If I say something about a place, it’s usually pretty accurate, I think, judging from people’s reactions. It’s a free market. The free market takes care of itself. If I don’t like the place, I don’t like the place. If I like the place, I like the place. Peng has a low opinion of Yelp, where people can randomly post often-critical reviews of restaurants. 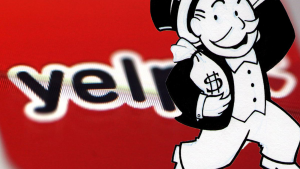 He said the people should watch the recently released documentary Billion-Dollar Bully to better understand Yelp’s questionable business practices. Ken is a big fan of the downtown restaurant scene and welcomes such recent additions as Crane Ramen and MoJo Hogtown Bar-B-Q. He recently recommended five restaurants for Valentine’s Day, four of which are downtown: Crane Ramen, Mark’s Prime, Dragonfly and Emiliano’s Café. Peng said he would like to see a French restaurant open up downtown, or perhaps a good Chinese restaurant. “I’m Cantonese so I’m sick of seeing the take-out joints that are all over the place – what people perceive to be Chinese food but it’s all just Americanized nonsense,” he said. Not only do Peng’s followers religiously read his every word, local restaurateurs follow Ken Eats Gainesville as well. Across the Sun Center atrium, the owners of Sababa Israeli Cuisine were flattered when Peng named it the area’s “Best Mediterranean” restaurant. Goldstein added that people take Peng’s blog seriously for a reason. Peng said he has no personal agenda with Ken Eats Gainesville except to see the restaurant scene improve—along with all other aspects of town. 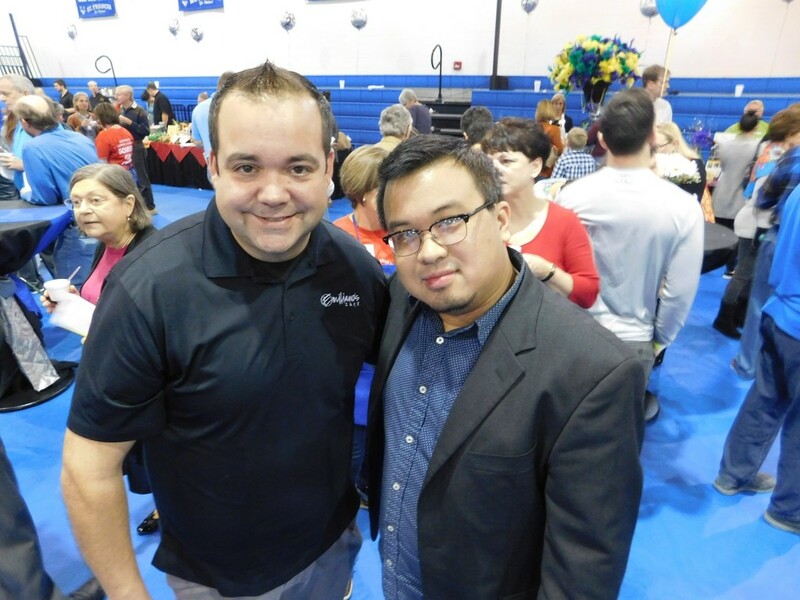 To get a taste of Ken Peng’s blog, visit his Ken Eats Gainesville website. To become a follower, visit the Ken Eats Gainesville Facebook page. Do you have a comment to share about Ken Eats Gainesville or the downtown food scene? Please Leave a Reply in the section below.